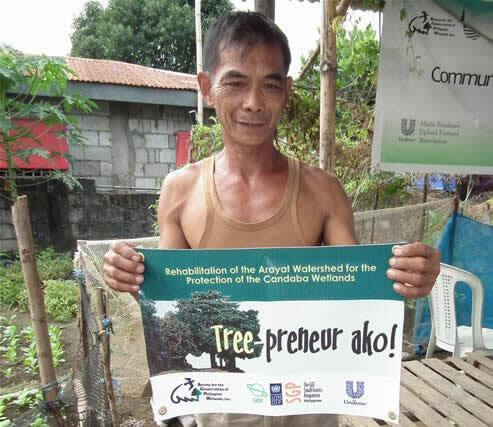 The Treepreneur Project – The Society for the Conservation of Philippine Wetlands, Inc. 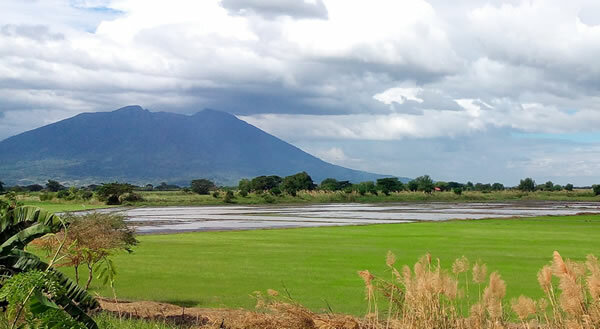 The Candaba Wetlands and Mount Arayat are considered ecologically important areas. Both ecosystems are habitats of endemic and endangered flora and fauna. Mt. Arayat tributaries drain into the Pampanga River which bisects the whole Candaba swamp area. Sediments from soil erosion on the mountain find its way into the Candaba swamp contributing to its eutrophication. The average depth of the swamp is only 1-2 meters deep, thus making it very vulnerable to sedimentation. The degradation of the Arayat uplands would also mean the deterioration of the habitat of waterfowls and migratory birds of the swamplands. Addressing the conservation issues of the uplands would also help address the degradation of the swamplands. As such the two different ecosystems cannot be separated from each other. Rehabilitation and conservation of resources of the Arayat-Candaba watershed is of great importance, not only to the flora and fauna, but also to the local people. Conserving the upland and swampland resources could eventually conserve its biodiversity. The project employed approaches and methods that were highly participatory, transparent, build on or complement existing and proposed effort and promoted community empowerment. It also highlighted the replication of a best practice by implementing “tree-preneurship” which was proven highly successful in South Africa. Moreover, it harnessed the enthusiasm and energy of the youth by training them to become “tree-preneurs” by growing seedlings in their own backyards, maintaining nurseries and plantation enrichment sites. The overall objective of the project was to minimize the degradation of the Arayat-Candaba watershed through restoration of habitats of important flora and fauna in the upland ecosystems. to increase the awareness and appreciation of the local population on the importance of the Arayat forest cover in the maintenance of the ecosystem integrity of the Arayat-Candaba watershed. Phase I of the project was funded by the GEF Small Grants Programme of the United Nations Development Programme. This was implemented on July 2010 to June 2012. A total of 98,575 indigenous seedlings were produced, and a 40-hectare enrichment plantation site was established, planted and maintained at Mount Arayat by the Punong Buhay Brigade. Phase II was funded by the Philippine Tropical Forest Conservation Foundation. This took off from the completion date of Phase I and was implemented on July 2012 to May 2013. The Project was able to produce 50,000 indigenous seedlings by backyard nursery Treepreneurs. The 40-hectare plantation site of Phase I was cared and maintained, and an additional 40-hectare enrichment plantation site was established, planted and maintained by Punong Buhay Brigade. Both phases were supported by Unilever Philippines under their Sustainable Living Program.